Castle Point Funds Management has released a retail version of its long-established trans-Tasman shares strategy with a flurry of interest from a range of investors, according to co-founder, Richard Stubbs. Stubbs said the Auckland-based boutique launched the Castle Point Trans-Tasman Fund as a portfolio investment entity (PIE) following demand from financial advisers. “We’ve been pleasantly surprised at the level of interest already,” he said, after the new PIE fund officially launched in mid-November. The new trans-Tasman fund joints Castle Point’s two other PIE products – the Ranger and 5Oceans funds – that have collectively garnered over $100 million. 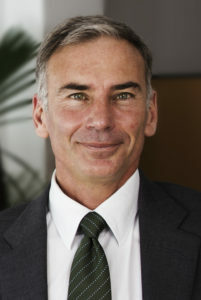 Castle Point launched in 2013 out of the former Tower Investments team, who replicated the long-standing Australasian shares approach under the new banner. Until now only available to wholesale investors, the Castle Point trans-Tasman shares strategy is ranked first for Australasian equities category in the latest Melville Jessup Weaver (MJW) survey over the quarter, one- and three-year periods ending September 30. “The fund will be fully invested so investors can use it as part of a diversified portfolio,” Stubbs said. According to the product disclosure statement (PDS), the trans-Tasman fund can invest up to 10 per cent in cash with NZ equities representing between 75-100 per cent of the portfolio and Australian shares ranging over 0 to 25 per cent. Total fees for the new fund would be about 1.05 per cent, the PDS says. MMC provides administration while Public Trust is supervisor for the product. Stubbs said the new fund was targeting “financial advisers, institutions and sophisticated investors who do their own asset allocation”. “Institutions are getting more comfortable investing in funds rather than through direct mandates,” he said. Castle Point now manages over $500 million through its retail funds and separate accounts. As well as the four investment team co-founders, Castle Point recently beefed up its distribution team with former NZAM staff, Eric Mahoney and Dryol Lowe, and ex ASB wealth adviser, Nathan Jolly.